A selection of photos from my summertime adventures in Alaska. 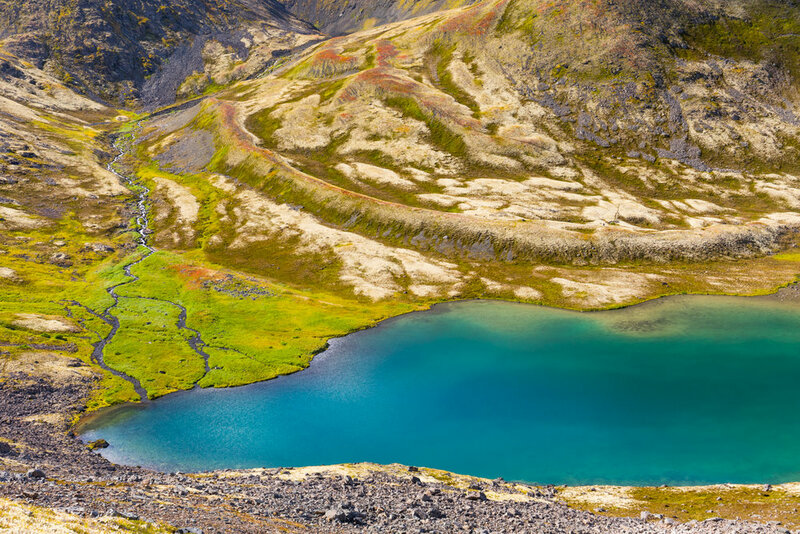 Summer near the Arctic Circle is ever-so-fleeting, so I spend as much of it as possible hiking, climbing, camping, and paddling around the majestic mountains, rivers, and glaciers of Alaska. I prefer the spontaneous nature of photographing in the backcountry, where the sense of awe and adventure I experience helps guide my focus. Denali's Pioneer Ridge and north peak glow at sunset, viewed from the Muddy River near the foothills of the mountain. Storm clouds advance on the peak of Sukakpak Mountain in the Brooks Range. A herd of caribou cows and calves cross Stony Creek in Denali National Park. Setting up camp in an alpine valley during an eastern Alaska Range expedition. Sunrise on Mount Moffit, viewed from the Delta Mountains across the Delta River. 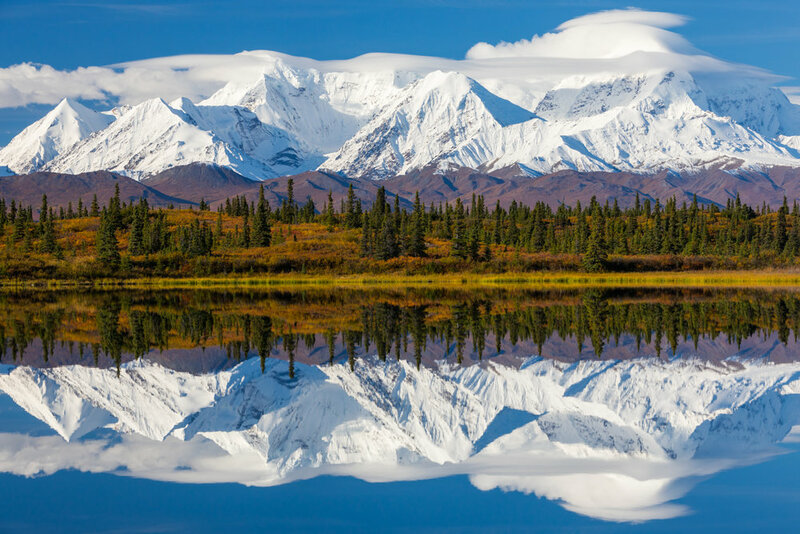 The mountains of the eastern Alaska Range reflect in Donnelly Lake on a fall morning. A backpacker observes sunset from the mountains near Black Rapids in the Alaska Range. Lichen-encrusted rocks on the moraine of Peters Glacier in Denali National Park. A hiker skirts around snow-covered crevasses on a jagged section of Castner Glacier. Backpackers traversing the eastern Alaska Range talk with pack hunters next to a bus-turned-hunting-shelter along Healy Creek. Backpacking along the western fork of the Atigun River in the Brooks Range under the midnight sun. 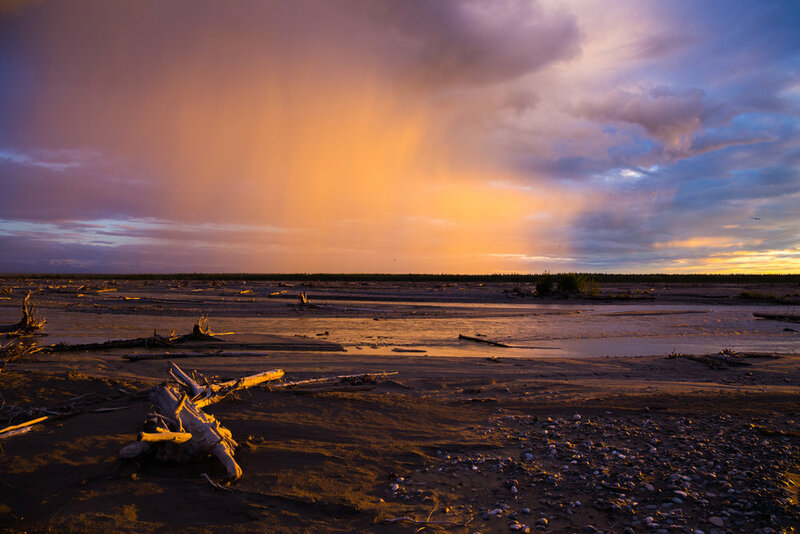 Sunset illuminates virga over the Delta River, west of Delta Junction. A curious Dall sheep ram gets close for the camera in a remote area near McGinnis Glacier. 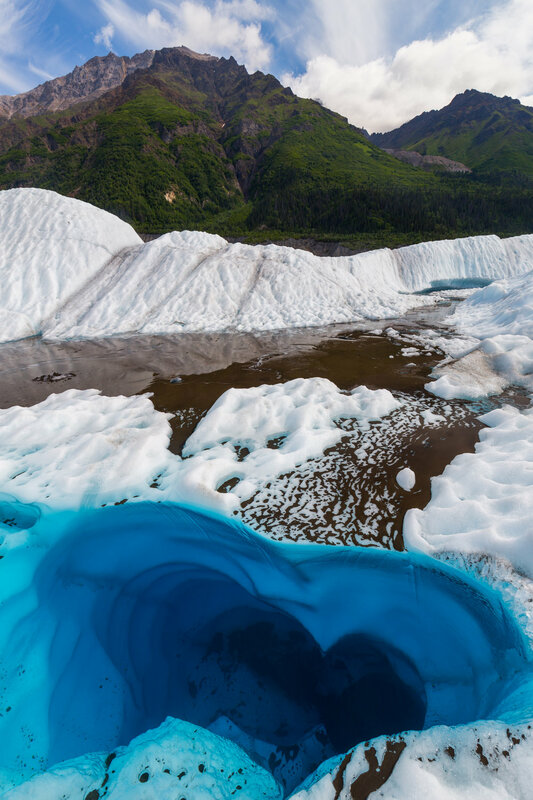 A heart-shaped pool on the surface of Root Glacier in Wrangell-St. Elias National Park. Thayer Hut sits in an alpine meadow above Castner Glacier in the Alaska Range. A pack rafter splashes over a partially submerged tree while paddling Jarvis Creek. Mt. 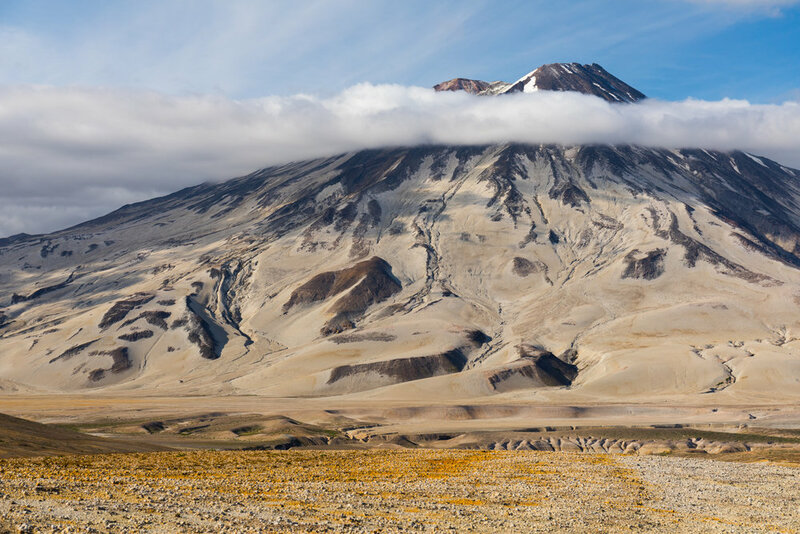 Griggs rises above the Valley of Ten Thousand Smokes in Katmai National Park.